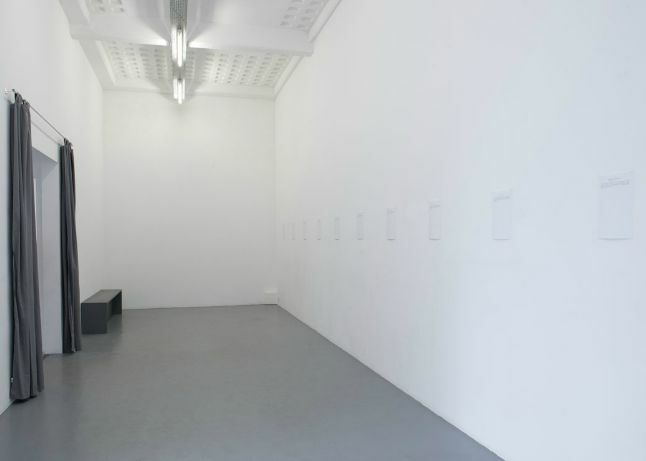 For his first solo exhibition, Joris Lacoste wrote a series of twelve scripts, shown within the gallery space through their titles and short synopses. Each script is a piece of fiction meant to be narrated to someone under hypnosis. People wishing to acquire one of those dreams are first invited to meet the artist at the gallery, in order to discuss the conditions in which the exchange will take place. At the end of the negotiation, an appointment for the induction of the piece is set up.